Rock 108 Fursday: Dawn the Dog! Looking for a wonderful dog that is also good with kids? Look no further! 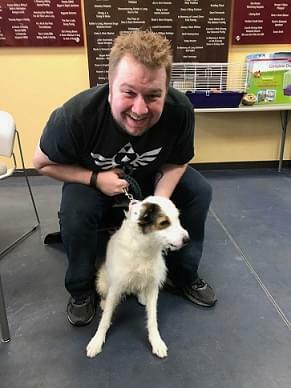 Meet Dawn the dog at the Cedar Bend Humane Society! A sweet wirehaired terrier in need of a home from the Cedar Bend Humane Society! Dawn is an incredibly sweet pup and could be the perfect fit for your home! Just look at the video below and see what I am talking about! Sponsored by Spicoli’s Reverb in Waterloo! Check out all of their awesome concerts and events coming by CLICKING HERE.